Gouache on paper heightened with white pigment, 42,5 x 38,3 cm (16.7 by 15.8 in). Signed bottum left „AReinhardt“. Literature: Thieme-Becker, vol XXVIII, 122; Friedrich von Boetticher, vol II, 1, p. 376. 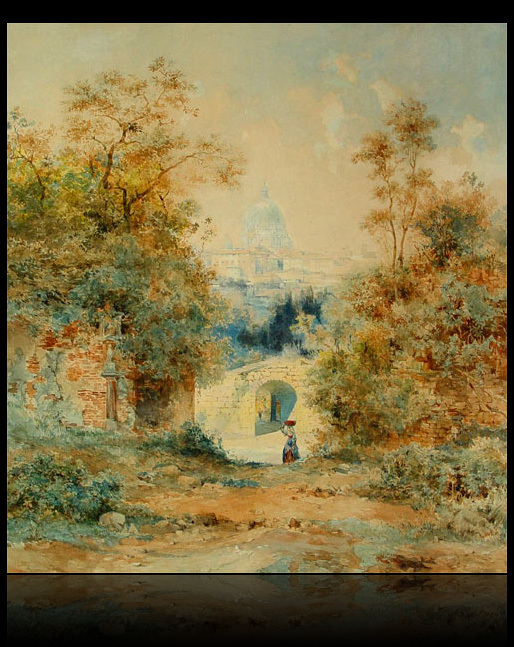 Please note: A similar work by the artist is listed at Friedrich von Boetticher no 6 with the title: „View of Rome from the Monte Mario“, which is possibly identical with the present work. 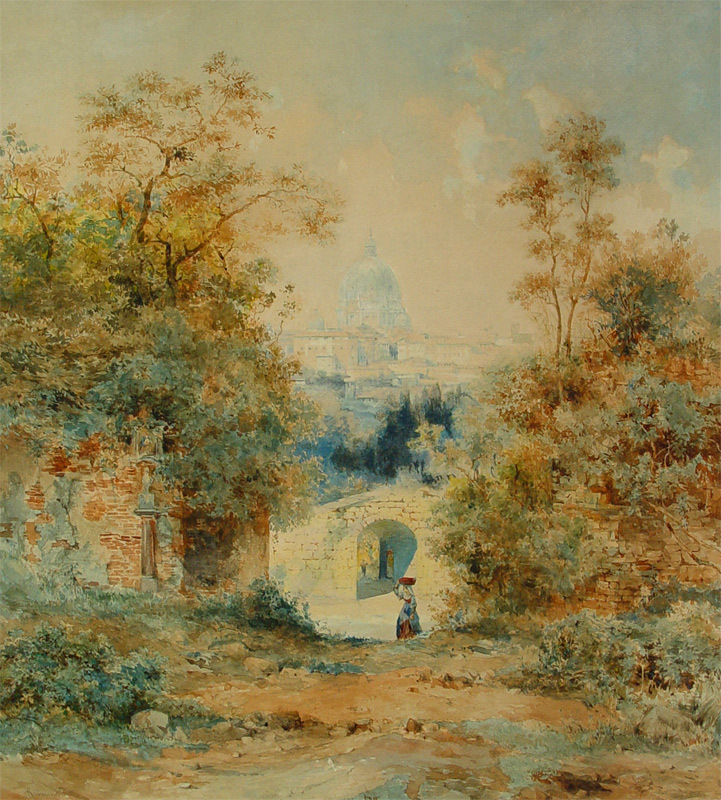 A impressiv view of Rome from the 19th Century. Fine original condition with slightly browned paper. Decorative period frame and new conservation approved museum standard matting.